This giveaway is now CLOSED. Thanks so much to our wonderful sponsor Marc Joseph New York! We look forward to working with you again. Remember when I told you I was on the hunt for grey boots to match my favorite Kooba bag? We all know how the Universe works, you tell it exactly what you want and well sometimes you get TWO. I found two grey boots I fell in love with this season, and when I find something super fab I totally have to share! This time around it's both a flat and a bootie from a company that gives back 10% of its profits to local charities (including an after school program + a charity that helps people pay their electricity and gas bills), they also donate to national charities like the Susan G. Komen Foundation. For me, knowing my purchases are making a wider difference is very important to me. 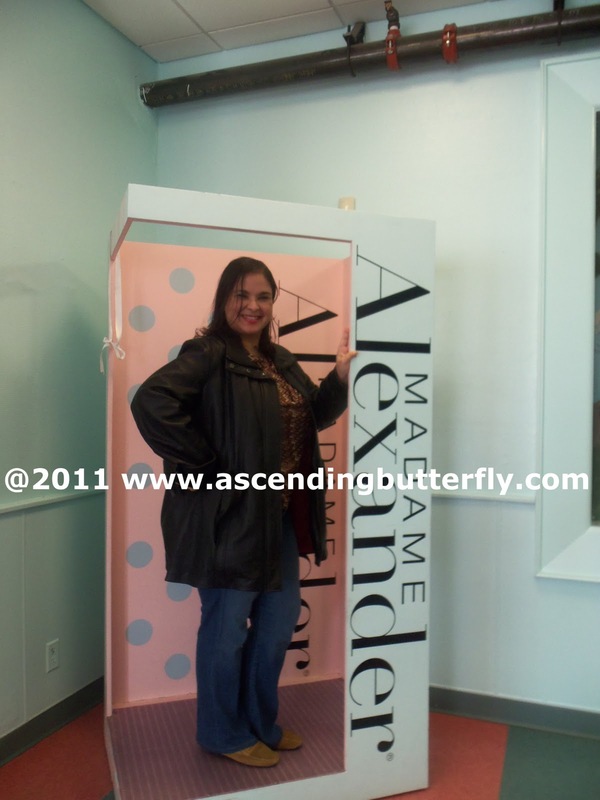 And for me this is doubly so with Marc Joseph NY, as Ascending Butterfly is NY based as well so I know my purchases are helping my local community and that is truly a fantastic feeling! Founded in 2006, and headquartered in the heart of Manhattan, Marc Joseph NY has become one of the hottest Brand names for Luxury Footwear in the U.S as well as internationally. 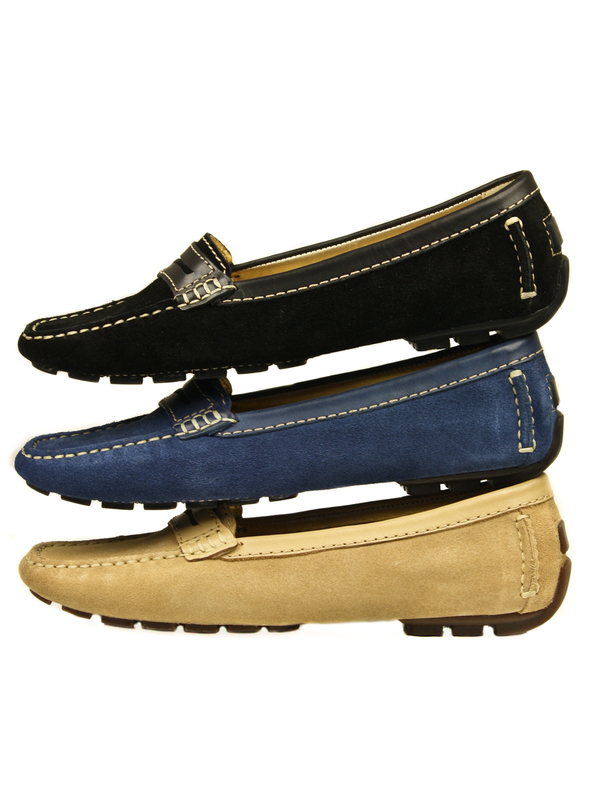 Father and Son Duo (if you are sensing a trend this holiday season with us featuring family owned brands you are right! ), Marc, and his son and the company's Creative Director, Joseph, work hard to design shoes that are unique, but also practical. Together they ensure that the comfort and fit is nothing less than perfect. The shoe collections are named after famous intersections and popular destinations in Manhattan & New York City. 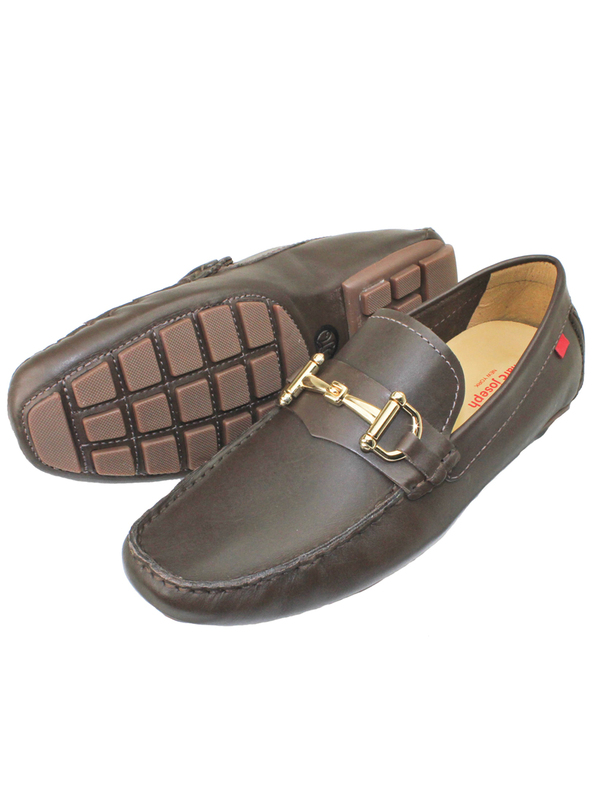 While some of you may already recognize the name for their wildly popular driving shoes, the line is so much more! Ascending Butterfly wearing Marc Joseph NY Union Street Suede Shoe in 'Amber' color! I have worn these to several events, but no one took a 'long shot', so I definitely owe you guys a picture wearing these! Didn't think I'd forget my guys did you? From the sleek, very New York, black packaging with gold logo and signature tissue paper inside, you know you and your feet are in for a treat the moment the box arrives. You don't have to pour over tons of user reviews to figure out what size you'll need because the site tells you which styles run larger and which are true to size. I went up a half size for the Union Street Suede Flats and the Gramercy Booties run true to size, I did not need to size up for those. So I asked the Universe to deliver a great grey boot and I found two! I wonder if that works the same way for the powerball? I can't think of anyone on your shopping list that wouldn't be totally delighted to find a pair of Marc Joseph New York Shoes under the tree! And I'm happy we get to include the guys in the fun this time around with the great selection of men's shoes! Ƹ̵̡Ӝ̵̨̄Ʒ - WIN IT! - Ascending Butterfly and our friends at Marc Joseph NY would like to give 2 lucky winners the shoe of their choice, MENS OR WOMEN based on in stock size availability! Don't you just ♥ Marc Joseph NY? I know I do! Love what you see and can't wait to find out if you won? Can't say I blame you! How about a Discount? Ƹ̵̡Ӝ̵̨̄Ʒ - In honor of shoes, tell us about your all time favorite pair of shoes or boots! Ƹ̵̡Ӝ̵̨̄Ʒ - Like Marc Joseph New York on Facebook HERE (Tell them what your favorite pair is that you are trying to win from Ascending Butterfly) - Be sure you leave the link to your comment here for extra credit. (You can get the link the same way you do on twitter, press on the time you left the comment on their facebook wall, and when the page fully loads, highlight and copy the URL address and then paste it into the comment field here). If you say "I wrote on their wall" and do not leave the link that Extra Credit Entry will NOT be processed. FTC Disclosure Info for this Giveaway: This is NOT a sponsored promotion. NO compensation has been received from the sponsor in exchange for this post. The sponsors are fulfilling directly to prize winner(s), this in no way influenced my opinion of the products. All opinions expressed in this review are 100% my own. Once a winner is selected and their information has been forwarded to the sponsor, the responsibility of prize fulfillment rests with the sponsor. An Affiliate Link is used for EZ Win game. my favorite boots are my gucci boots my sister gave me! i love them so much i dont even wear them! my all time favorite shoes are chacos sandals.... they are the only shoes i can stand in for 10 hours and still have happy feet. Love the Trinity Boot in black! My all time favorite shoes are Born clogs because they're so comfy!! I follow you on GFC as sweetsue.I love these great boots! I like Ascending Butterfly on facebook as Susan Chester. Love at first sight for the Central Park Ballet Slipper in beige snake!!! shoes don't get much nicer than these lookers! I follow Tracy Iglesias on twitter as ptowngirl25. My favorite shoes are Allegros in a black floral print. They are so comfortable! I enter the Earthies Boot giveaway!! I am a follower. I like the http://www.marcjosephnewyork.com/product_listing.php?cat=1&sid=145. sweepmom at comcast dot net. I like the Cypress Hill Grainy shoes in Black Buffalo. 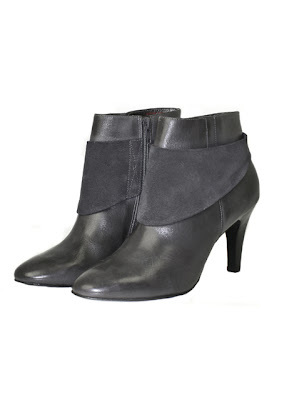 I entered the Earthies Jasko Boots giveaway. My all time favorites were a pair of black leather boots with silver buckles. My all-time favorite pair of shoes was a pair of green cowboy boots I had when I was very little! Hi! Following on GFC as PinkGuayoyo. I follow you on GFC as cardprincess and I adore these boots! My favorite pair of shoes are my red pumps. love the Trinity boot in black!! to die for! i have a pair of jessica simpson brown ballet flats that I have worn for years and are still my fave! My favorite pair of shoes, is these silver ballet flats I have, they are adorable. my all time favorite pair of shoes is my Valentino rain boots. They are subtle, but awesome! I have a pair of black leather Aldo boots with a buckle that I love. my favorite shoe is my Clarks ankle boot, so comfy! My favorite pair of shoes are my Rockport ballet shoes. my ex's dog ate my favorite platform shoe and I had to throw them away. Notice I said "ex"
A. I follow as Stef. Here's the link to the Trinity boots! Thanks for letting me redo this! I love my tall black leather boots. I've had a lot of great shoes in my lifetime! But my favorite were probably a pair of clogs that I had in my sophomore year of high school...clogs were so "in" and I had to have this one pair! I was so happy when my parents got them for me. My 2nd favorite pair ever were probably a pair of purple hightop sneakers that I had in college...LOL! Favorite shoes were a pair of Sperry Top-Sider Boat shoes I wore in college. I almost said my Stuart Weitzman navy pumps because I LOVE them, but I had a pair of shoes that did not cost hardly anything from Newport News and I just loved them. Black suede pumps with a double strap and tie around the ankle. I literally kept them until they fell apart. I follow Tracy Iglesias on Twitter (mail4rosey). I follow Ascending 1 on Twitter (mail4rosey). I like Ascending Butterfly on FB (Sarah Smile).